A group of French scientists has developed a method of shielding cities from the force of an earthquake, and after devastating earthquakes in Chile, the idea is drawing some much-deserved attention. It works on the principle of refraction, planting an array of boreholes to redirect the reverberations around the city and into areas where they will do less damage. If the system works, it could be a new way to shield populated areas from the devastating effects of an earthquake. 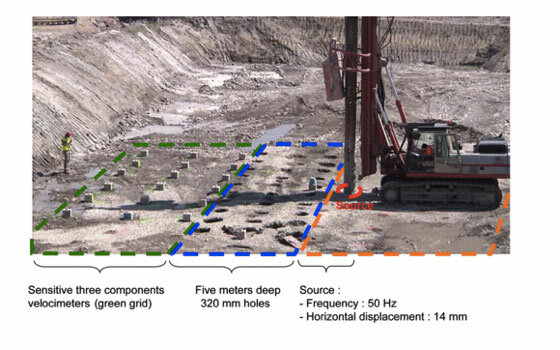 In the experiment, the researchers dug a grid of cylindrical holes five meters deep in the soil, then used seismographic sensors to monitor how force propagated through the array. As expected, sound resonated through the array according to the properties of acoustics, refracting around the boreholes in curved patterns.